These felt balls are imported from a manufacturer in Nepal. Azo free dyes are were used to make the balls. Felt stars are handmade with wool fibers. Soap, hot water, and gentle agitation is used to form these felt balls by hand. 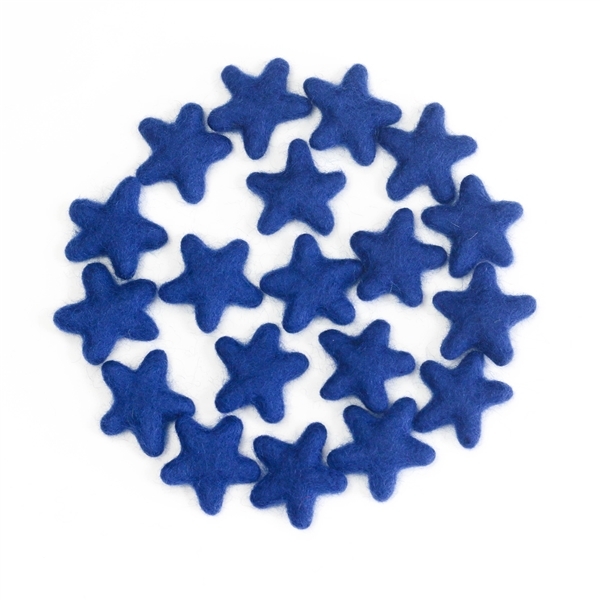 These felt unique felt stars are are perfect for all types of decoration. They string easily with needle and thread to make a garland banner for a fireplace mantle or Christmas tree. Or scatter them on a table for an easy and unique decoration. Felt star colors are NOT made to match our 100% wool felt sheets, rolls, ribbons.